Inspired by David Bowie, Atomic Faery made this beautiful Starling Necklaces for 20Twenty. It’s available now @ the mainstore for 20% off. The Amarna set is 20% off @ the mainstore for 20Twenty Event. All the textures shown above. HUD to change the textures and to resize the item. 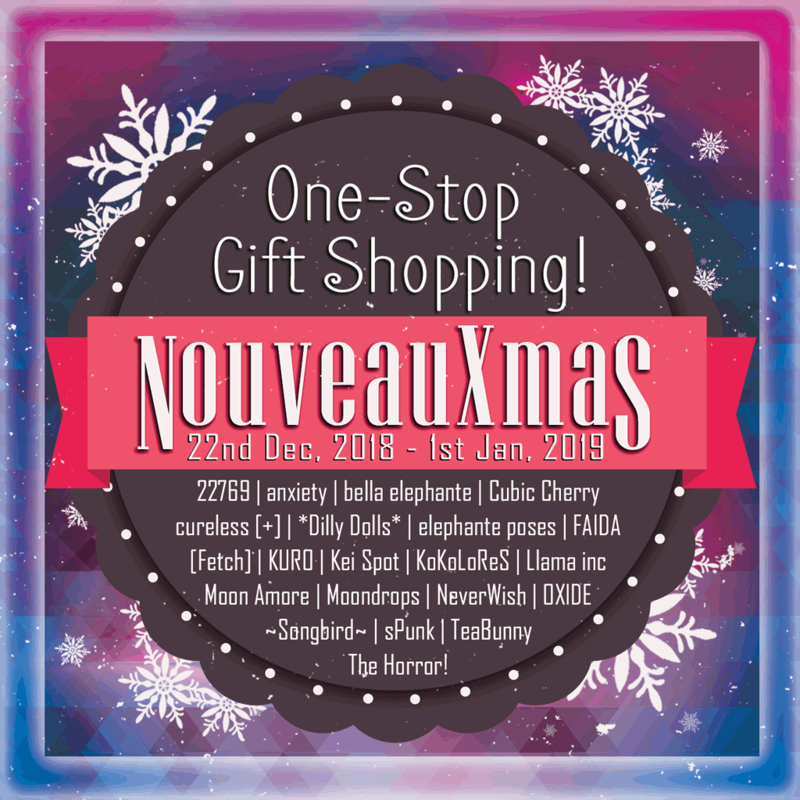 – No inventory clutter! copy and mod – it will say no mod because of the script. A resizer button is incorporated in the HUD, but you can always just resize the item itself manually. Atomic Faery and OXIDE @ 20Twenty!!! 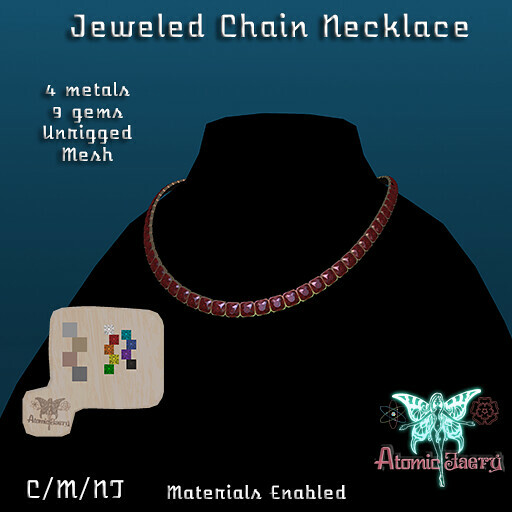 Atomic Faery, a new brand joining our very own Nouveaux Designers has released this very pretty Jeweled Chain Necklace for this round of 20Twenty! -Chain links set with gemstones for a necklace suitable for pretty much anyone. -Hud for different combinations of textures. OXIDE(formerly OXI) is again joining this round of 20Twenty! 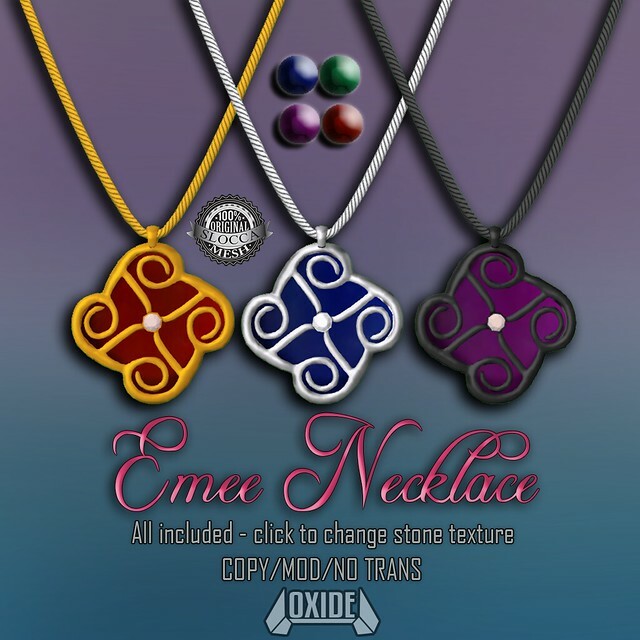 They are releasing this very colorful necklace called “Emee”! Be sure to grab it while it’s hot!!! – Change the inner stone by touch -> menu selection. – Copy/Mod – Item will say no mod, only because of the script. Mystik Collars have RLV Scripted and No Script versions. They include different trims and rings colors. They are 20% off for The 20Twenty Mainstore event!